Software-defined wide area networking (SD-WAN) is gaining traction as more and more enterprises deploy the tool for managing heavy network traffic. 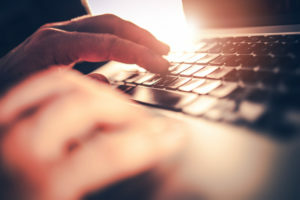 In response to multiplying endpoints and the challenge of managing branch locations and their connectivity needs, many in IT find that SD-WAN is a necessary network infrastructure upgrade. That’s also when enterprises are most likely to add SD-WAN. An upgrade is the right framework for a tool that reduces the amount of time that staff must be dedicated to network management, improves application performance, and reduces downtime for WAN and branch locations. SD-WAN also has the potential to significantly reduce the expected costs associated with rising bandwidth demand. SD-WAN is a relatively young technology, and its adoption has been swift. There are times when SD-WAN might be implemented simply because a contract is ending or the life cycle of certain equipment is waning. In most situations, however, it tends to be during an upgrade. When engaging in a network infrastructure upgrade, you’ll need to make critical decisions about how to handle SD-WAN. The options are to handle it in-house with a do-it-yourself model, a traditional managed WAN model, or with managed services. DIY requires a consideration of the branch stack. Many enterprises have the in-house talent to build SD-WAN and manage it, but if you go this route, plan to evaluate whether it makes sense to use the existing branch stack that’s at each location, usually consisting of a router, plus some combination of firewall, optimization and a wireless local area network (LAN) controller. This stack may be maintained to meet certain design principles or security requirements, but if not, it may make sense to collapse the stack into a single device. Managed SD-WAN is often a great fit. Managed SD-WAN is often the first consideration for enterprises looking for a way to reduce costs and improve connectivity and performance. Managed SD-WAN is also ideal when you don’t have in-house talent that specializes in the skills necessary for handling a virtualized network. When engaging in a network infrastructure upgrade, a lot of consideration centers around connectivity. While cost is often one of the drivers for implementing the technology, it’s not uncommon for enterprises to retain the existing multi-protocol label switching (MPLS) lines or carrier ethernet. Most enterprises want to retain the option of accessing diverse connectivity from providers so they can improve performance. Also entering into the conversation is the cost of available pathways. Some may be similar to MPLS, or consumer broadband may not perform well enough to be a reliable option for less-critical transmissions. In some locations, there may be only one provider, making it almost impossible to achieve provider diversity. It’s also important to consider other aspects of your upgrade. Will you prefer to retain “last-mile” relationships, or will you hand those off to a managed services provider? You’ll also want to evaluate whether a particular SD-WAN solution speaks the protocols necessary for your branch box. If there are vendor-specific or older standards in place, you’ll need to carefully evaluate it for your infrastructure. To learn more about the considerations you should include in your next network infrastructure upgrade, contact us at Wanify. We can help you identify the right approach for leveraging the benefits of SD-WAN for your enterprise.